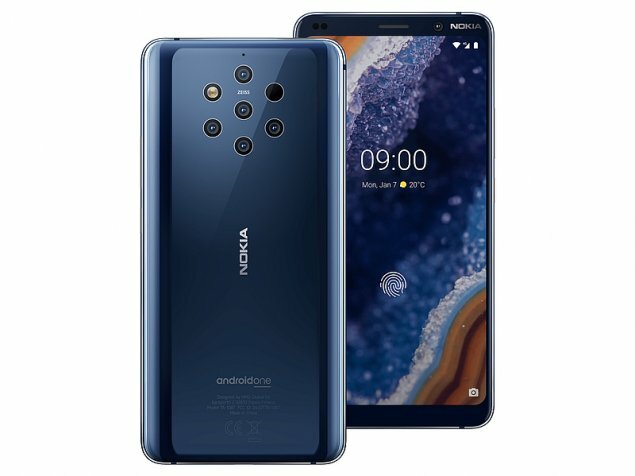 Nokia 9 PureView smartphone was launched in February 2019. The phone comes with a 5.99-inch touchscreen display. Nokia 9 PureView is powered by an octa-core Qualcomm Snapdragon 845 processor. It comes with 6GB of RAM. The Nokia 9 PureView runs Android 9.0 Pie and is powered by a 3,320mAh non-removable battery. The Nokia 9 PureView supports wireless charging. 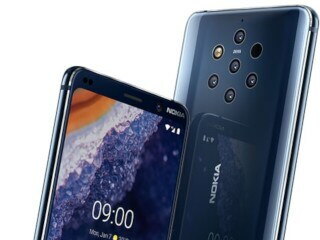 As far as the cameras are concerned, the Nokia 9 PureView on the rear packs a 12-megapixel primary camera; a second 12-megapixel camera with an f/1.82 aperture; a third 12-megapixel camera with an f/1.82 aperture; a fourth 12-megapixel camera with an f/1.82 aperture and 12-megapixel camera with an f/1.82 aperture. The rear camera setup has autofocus. It sports a 20-megapixel camera on the front for selfies, with an f/1.82 aperture. Nokia 9 PureView based on Android 9.0 Pie and packs 128GB of inbuilt storage. The Nokia 9 PureView is a dual-SIM (GSM and GSM) smartphone that accepts Nano-SIM and Nano-SIM cards. Connectivity options on the Nokia 9 PureView include Wi-Fi 802.11 a/b/g/n/ac, GPS, Bluetooth v5.00, NFC, USB Type-C, 3G, and 4G (with support for Band 40 used by some LTE networks in India) with active 4G on both SIM cards. Sensors on the phone include accelerometer, ambient light sensor, barometer, compass/ magnetometer, gyroscope, proximity sensor, and fingerprint sensor. The Nokia 9 PureView supports face unlock. The Nokia 9 PureView measures 155.00 x 75.00 x 8.00mm (height x width x thickness) and weighs 172.00 grams. It was launched in Midnight Blue colour. It features an IP67 rating for dust and water protection. It bears a glass body. The things that changed my mind about giving it 5 stars, is that it hasn't got expandable storage, and that the screen does not go all the way to the edge.